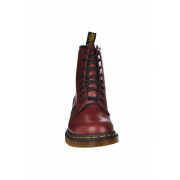 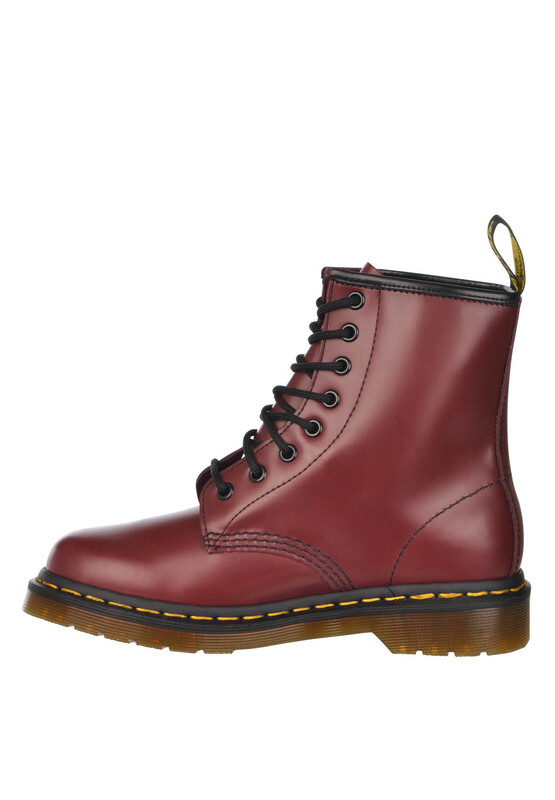 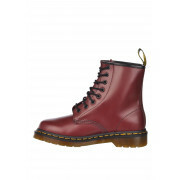 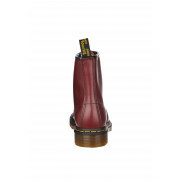 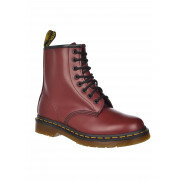 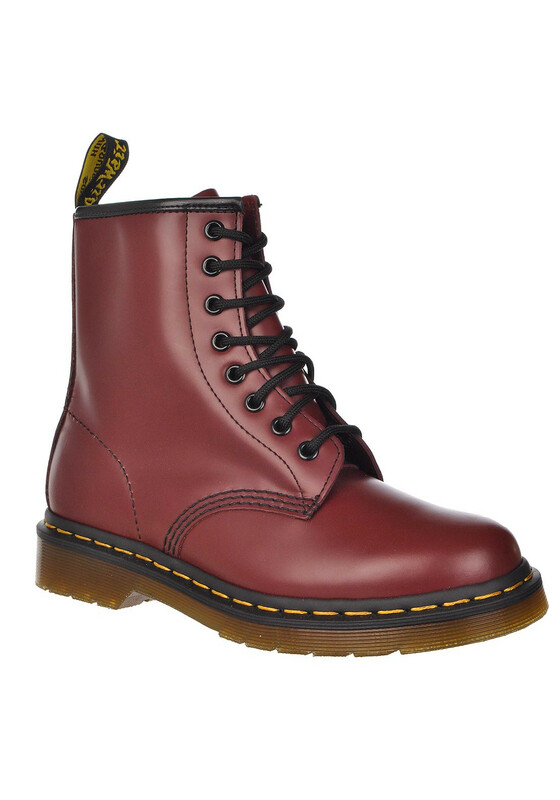 Dr Martens present their cherry red leather boots that will get you noticed when you step out in them. 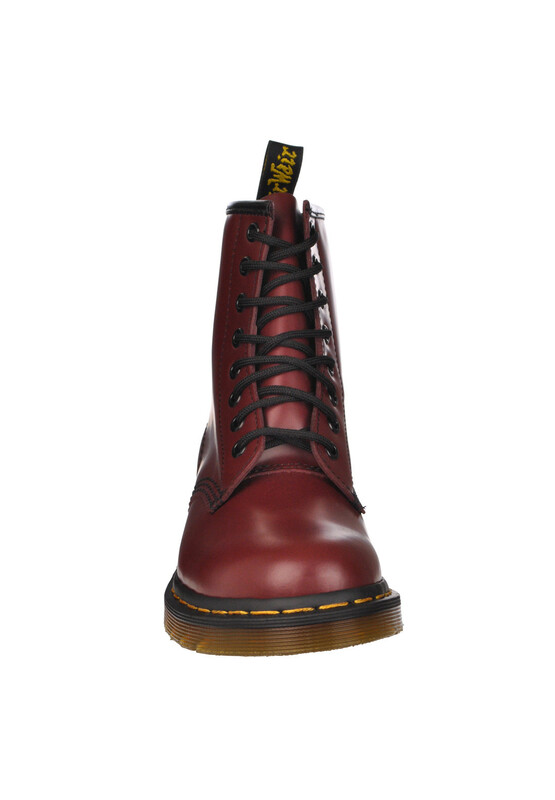 Featuring eight black eyelets with black laces, smooth leather that is durable and famously stiff to start with and it moulds to your feet for a more comfortable wear. 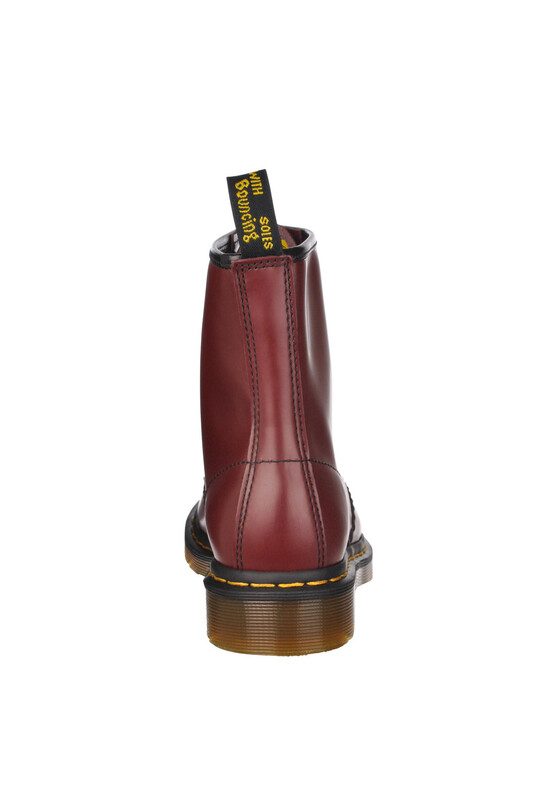 The boots have an additional pair of yellow laces and yellow sewing on the bottom with a back heel loop with AirWair branding.